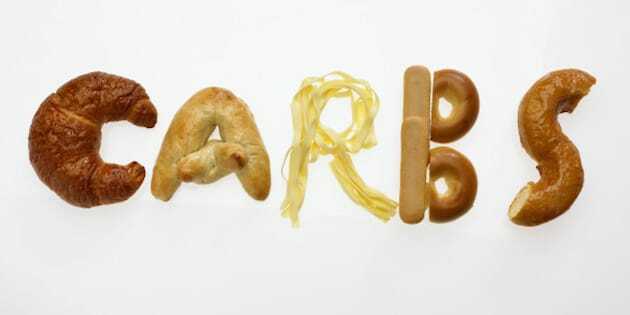 Of all the nutrition and fitness misconceptions I hear, this is the front-runner for most ridiculous: "I need carbohydrates for energy." Unlike protein and fat, carbohydrates supply none of the elements necessary to build or repair tissue in the body, and provide no essential component. "I need carbohydrates for energy." If that's the case, how did we survive and thrive as hunter-gatherers on less than 80g of carbohydrates per day? While still managing to chase down a wild boar, climb a tree to escape a pack of wolves, walk five miles and back to gather fresh water, and gather sticks and logs to build a shelter? Perhaps we subconsciously heard it in an advertisement, or maybe we took a look at our government food pyramid, but for whatever reason, we've all been trained to respond to any mention of cutting carbs with this rehearsed answer. No dietary requirement for carbohydrates! When and if our body is ever desperate for energy, it is perfectly capable of making its own glucose through gluconeogenesis. If absolutely necessary, we are fully capable of taking non-carbohydrate sources and creating carbohydrate structures. Although our brain requires 120g of glucose per day, it's inaccurate to think this can only be obtained from dietary carbohydrates. Because of the importance of brain fuel, our body is quite capable of creating it's own glucose, by breaking down fat. In fact, if one can reach their alternative fuel source the size of the non-carb fuel tank is significantly larger. And the best part about using the fat, is losing the fat. In Eat Meat And Stop Jogging, Mike highlights the flaws in the prevailing advice to get fit, and outlines the negative affect on our health and body composition.